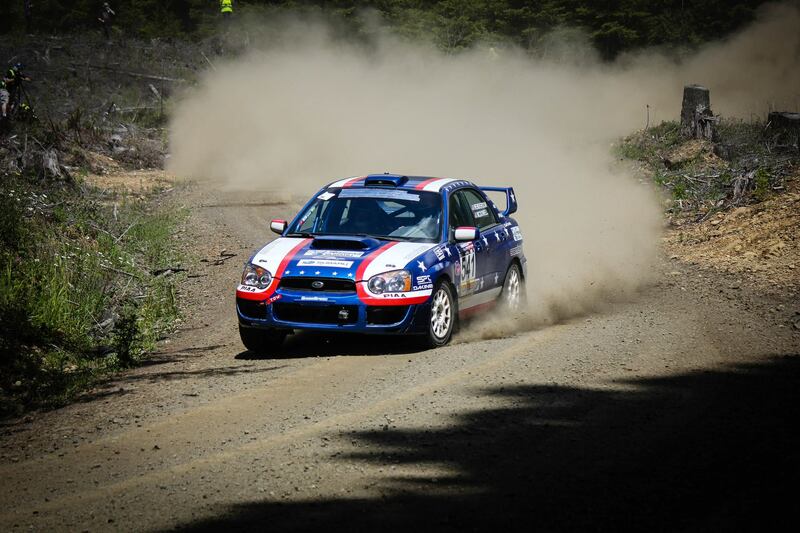 Oregon Trail Rally is this week, Friday through Sunday. Everything you want to know is in the Spectator Guide. Friday night at PIR (Portland International Raceway – a Portland park), starting at 6:00pm. Saturday in Dufur the cars will be on display at Dufur City Park, beginning at 9:00am. Dufur City Park is scheduled to be the location for all services. That means that as the car finish stages, there will be time for them to work on the cars. That will be happening at a central, easy to find location. This is an excellent spectating opportunity. Kids love this stuff! Sunday the cars will be running stages near Hood River, and servicing down in the Port Area – Again, beginning at 9:00am. I’ll be rooting for McDowell and Henderson (notice how I put the co-driver’s name first…?) – Hood River boys and hell-a-fast!!! Number 541, Subaru WRX (photo above). Great insights on their Facebook page. Carl Decker is a bicycle racer from Bend who also spends some time in Hood River. He’s stupid-quick on a bike – expect that to carry over. Like Henderson, if you think race driver’s ain’t athletes… you ain’t thinkin’ very hard. Number 693, and it’s probably still a Subaru. Anybody named Tabor has done a lot for Rallying in the Northwest, and there are a bunch of them. Paul Eklund is another Portland guy with a family history in the sport. Any car running as a “Regional” entry is likely somebody from not too far away. And bring your kids – even the girls will be excited to see that there are women involved in this sport. It’s super cool stuff. Check it out.